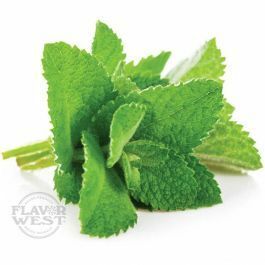 Natural spearmint flavor is a refreshing minty flavoring that is sure to tantalize your senses of taste. This cool and sweet flavor adds a delicious taste to your favorite drinks and baking recipes. Get an unexpected twist that freshens up your recipes. No artificial sweeteners. Type: Spearmint All Natural Water Soluble Flavoring. Ingredients: Natural Flavoring and Propylene Glycol. USP Kosher Grade Flavoring. Usage Rate: 15-20% for E-use. Flavor suitability: Suitable for candy making, drinks, smoothie, lip balms, chewing gum and more. Specific Gravity: 1.02 No Refunds on Flavoring. This is the perfect spearmint. The color is clear and the flavor is perfect. Tastes just like spearmint gum. Cool and minty.